What is UCSB GIVE DAY? 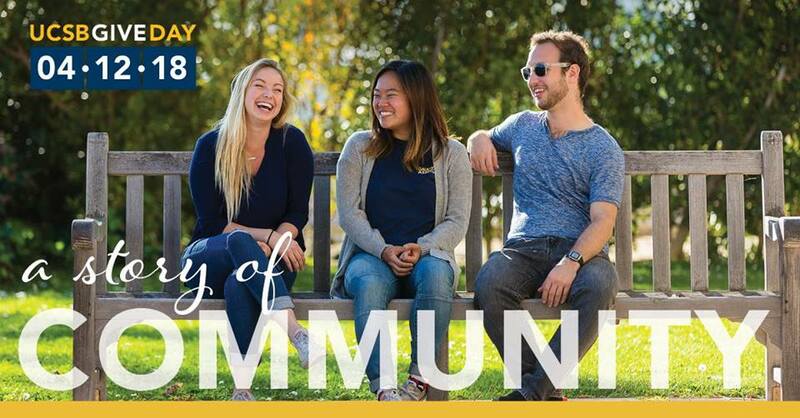 The goal of UCSB Give Day is to bring our community together to celebrate the story of UC Santa Barbara. Give Day 2018 will rally support for the university and unite Gauchos far and near, preserving everything UCSB is known for: campus beauty, academic excellence, and our sunny dispositions. We welcome anybody who considers themselves a Gaucho to join this celebration!